AAU Ekpoma academic calendar for 2018/2019 academic session is out. This is the adjusted Ambrose Alli University, AAU Ekpoma academic calendar for 2018/2019 session. In other words, the AAU schedule of academic activities for 2018/2019 academic session for full time students has been released. All students and members of staff of the university should take note. The management implores the entire community of Ambrose Alli University, Ekpoma to be cooperative in ensuring that the academic calendar is strictly adhered to. See the academic calendar below. 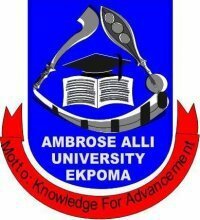 The academic calendar released by the management of Ambrose Alli University, Ekpoma (AAU) has the schedule of academic activities to take place for the session in the institution. This schedule of events has been approved by the school management. The adjusted academic calendar for the sessions has been released. We wish you a successful second semester!! !